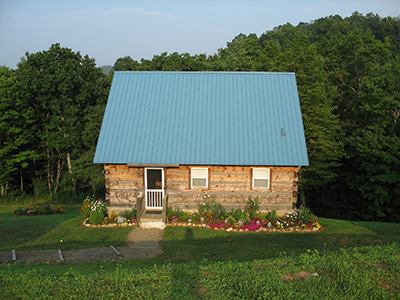 A Blue Ridge Haven offers two pet-friendly Appalachian Style log cabins located in the Blue Ridge Highlands of Virginia two miles from the Blue Ridge Parkway near wineries, hiking, antiquing, and more. For rates, availability, and other information, click “Reserve Today” or the navigation tab above. 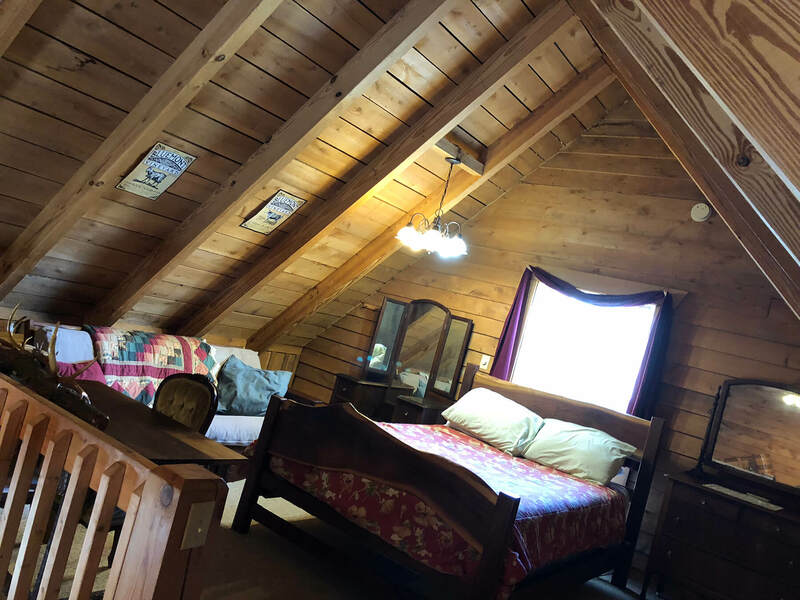 The cabins are well-appointed, comfortable, and sleep up to 8 (master bedroom with queen bed; and separate loft with queen bed and futon, and futon in the Great Room) with everything you need for an enjoyable stay. 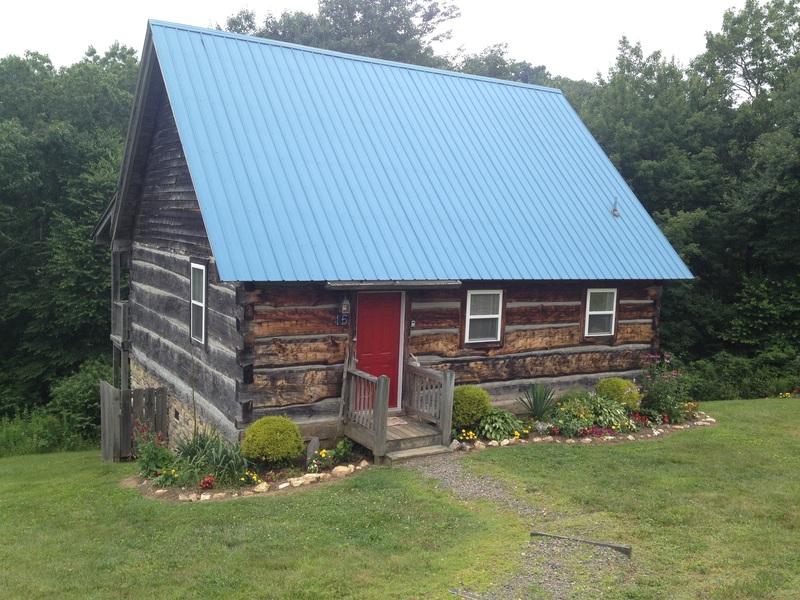 You can walk or drive a short distance from the cabin to the Cockram Mill Complex to enjoy a meal on the back deck overlooking the river at the Crooked Road Cafe. Enjoy the meadows and rolling mountains to stroll with your pups, walk, run, and bike. Chateau Morrisette and Villa Appalaccia wineries, hiking, fishing, and more are a short drive away. Relax by the fireplace, and enjoy the custom-appointed accents such as hand-crafted black walnut furniture, stone and wood accents, full kitchen, washer/dryer, charcoal grill and so much more. 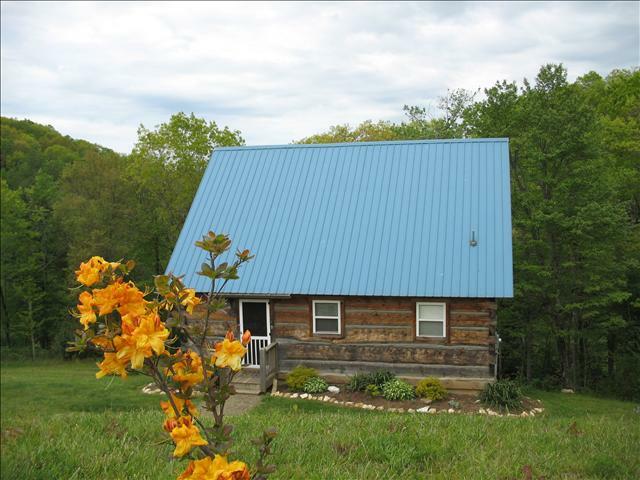 We were so pleased with the cabin and the beautiful location! We were grateful to have been able to stay here at the last minute. We needed a place to chillax after a very hectic 2 weeks of traveling, and before the very busy final leg of our vacation. We were so comfortable! Clean, cozy, and perfect. A blessing…and a washer/dryer…Lord be praised! Our stay was exquisite! We met our son halfway, and it was a rest in the middle of our busy schedules. We definitely would like to return! Thank you for allowing us to set this up last minute! We loved your cabin. We visit every year and have not stayed anywhere as nice and clean as this! We will definitely book again. Very nice set up with all of the blue roof cabins. Thanks so much! We come up each year for our anniversary. So peaceful…so colorful. The area is so beautiful. It gives us a chance to rest and reflect on our years of marriage. Our dog loves to join us, and occasionally we bring our kids. Thank you for your hospitality and for allowing us to stay in your beautiful cabin. Happy anniversary! This environment is ideal for reflection and a lovely respite from our busy lives. Great for us with the space and facilities to cook for a change. Would have liked longer to enjoy the cabin.